That's a shame. I've been looking forward to this one, particularly after reading Charlie Stross's comments. He seemed to really like it, but didn't go as in-depth as you. 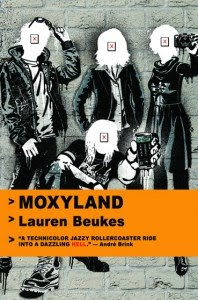 I'm sure there will be some differing opinions on Moxyland. There are probably some people who would love this. Just not me. I'm still very much looking forward to Angry Robots' Nekropolis.